We've all been there. We get an idea, struck with inspiration...then, as we ready ourselves in front of the easel, we freeze. The canvas is blank, and suddenly, our minds do the same. To help relieve your anxieties, we're sharing one of our favorite articles on the feared "artist block". 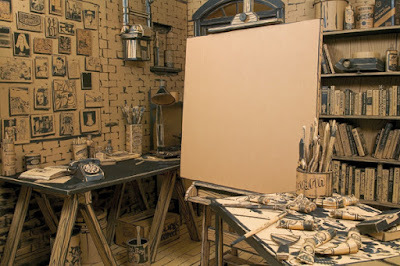 Written by Ann Landi, Art New's Facing the Blank Canvas: Artists' Tips for Getting Started should spark some ideas in breaking out of the rut, or just energizing you to make that first stroke! Click on the image for the full article! And what about you, readers? Any particular method you're a fan of? For me, I definitely need to cycle through various pieces all at once to help with my artblock. Share your suggestions in our comments section below! KeenArt Media specializes in customized canvas and fine art printing and reproduction. We also offer services in scanning, plaque mounting, and custom-made artist canvases. We also do framing as well! Check out our website or contact us for ways we can assist you with your latest piece.